NEWPORT NEWS, Va., June 28, 2013 (GLOBE NEWSWIRE) -- Huntington Ingalls Industries (NYSE:HII) announced today that the company has received a $745 million cost-plus-incentive fee contract for the inactivation of the aircraft carrier USS Enterprise (CVN 65). 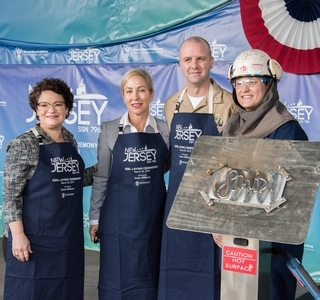 The work will be done at HII's Newport News Shipbuilding (NNS) division. 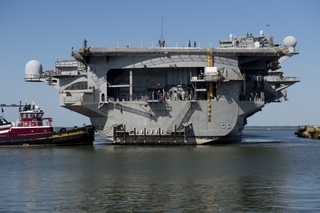 The ship was towed from Naval Station Norfolk to NNS on June 20 under the existing planning contract. NNS will defuel the ship's eight reactors and prepare Enterprise for its eventual transit to Puget Sound Naval Shipyard and Intermediate Maintenance Facility. The work is scheduled to complete in August 2016. More than 1,000 employees will support her inactivation. 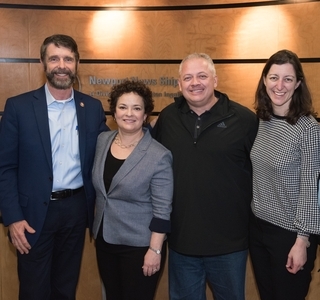 "Although Newport News Shipbuilding has defueled and refueled many ships, including Enterprise, this is the first inactivation of a nuclear-powered aircraft carrier," said Chris Miner, NNS' vice president, in-service aircraft carrier programs. "Our shipbuilders know Enterprise well and have enjoyed working on her over her decades of service. We are extremely proud of her great legacy, so it is with heavy hearts that we will work to retire this one-of-a-kind ship." Built by Newport News shipbuilders and launched in September 1960, Enterprise served a record 51 consecutive years. The ship was the world's first nuclear-powered aircraft carrier and the only one in her class. Enterprise aided in the Cuban Missile Crisis and operations Enduring Freedom and New Dawn, as well as naval maritime security operations.